The Toyota Super Jeans J34 is made in Toyota Factories by Toyota, the same company famously known world-wide for their reliable cars. 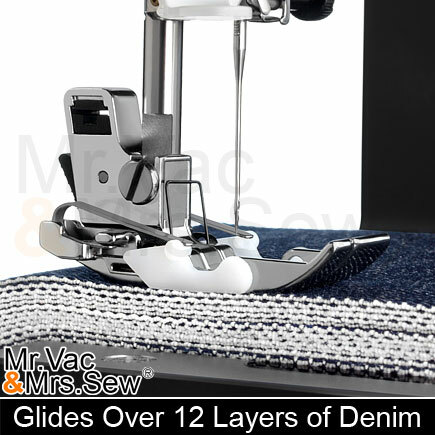 The Super Jeans J34 features Adjustable Presser Foot Pressure, an Automatic Needle Threader, the Ability to Glide Over 12 Layers of Denim, Drop Feed Capability, Easy Stitch Selection, a Free Arm and Much More! 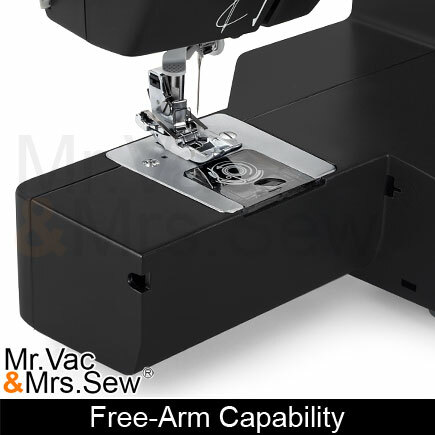 The warranty of the Toyota Super Jeans J34 covers a 5 year limited warranty on the sewing machine head, 2 year limited warranty on the motor, light assembly, wiring, switches and speed control, and a limited 90 Day warranty on all parts and labor. 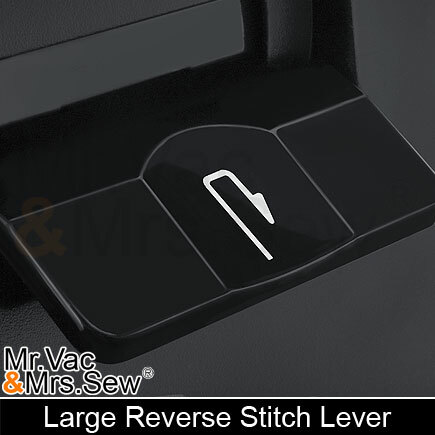 Mr. Vac & Mrs. Sew is an authorized Toyota dealer. 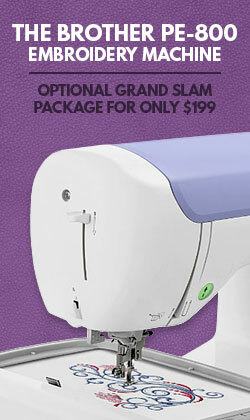 Tired of straining your eyes when threading your needle? Threading the needle is simple on the Toyota Super Jeans J34, just pull down the needle threader, put your thread in the hook and in front of the needle, pull back and your needle is threaded! The Toyota Super Jeans J34 is called a Super Jeans machine for a reason! You can sew through denim, jeans and more with ease. The included Gliding Foot is found only on Toyota Super Jeans Machines and allows the user to easily glide over multiple layers of denim. 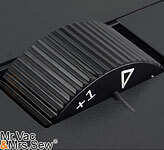 Go from 3 Layers to 6 Layers to 12 Layers and watch the foot glide over all layers without missing a stitch! This machine can sew up to 12 Layers of denim without an issue! You can sew 12 Layers of Soft Denim (12oz) or 9 Layers of Soft Denim (14oz) or 9 Layers of Hard Denim (12oz). We put this machine to the test and this machine had no issues going through the 12 Layers of Denim shown in the picture to the left! 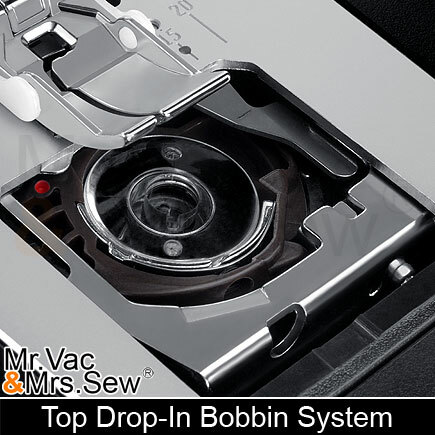 The Top-Loading Drop-In Bobbin System makes it easy to change the bobbin when you run out. 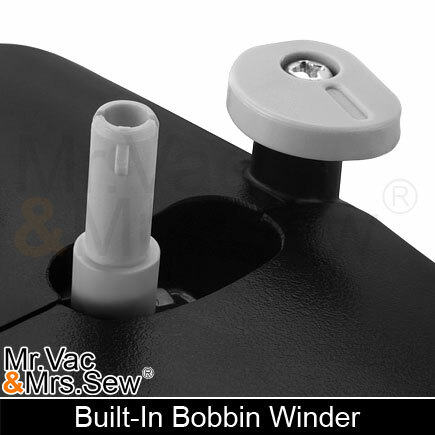 The cover is clear so you can easily see if you are running out of bobbin thread. 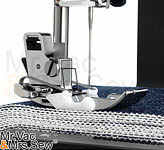 Free motion quilting to old fashion darning is easy with the drop-feed system. 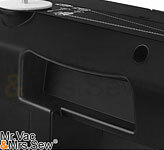 No hard to use darning plates, just push the drop feed switch over and the feed dogs will drop for free motion sewing. The Front Face Plate also doubles as a storage spot for your included Quick Guide Advisor. If you ever forget how to thread the needle or bobbin, this little reference guide will show you helpful drawings to help you remember. The Toyota Super Jeans J34 makes stitch selection a breeze! 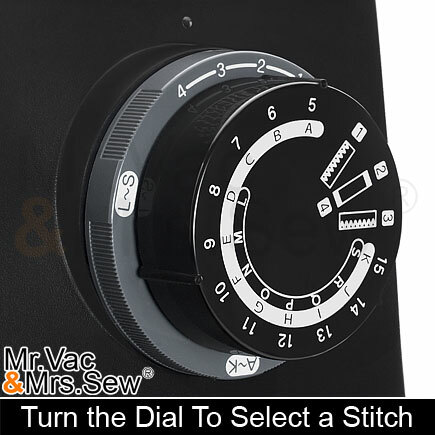 Simply turn the stitch selection dial to the selected stitch group and then stitch number indicated on the convenient stitch panel located at the front of the machine. 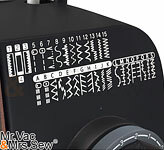 34 Built-In Stitches including Utility Stitches, Stretch Stitches, Blind Hem Stitches, Decorative Stitches, Applique Stitches, Overlock Stitches, a 4-Way Smocking Stitch, a Triple Reinforced Straight Stitch, a Triple Reinforced Zig Zag Stitch and a 4-Step Buttonhole Stitch. 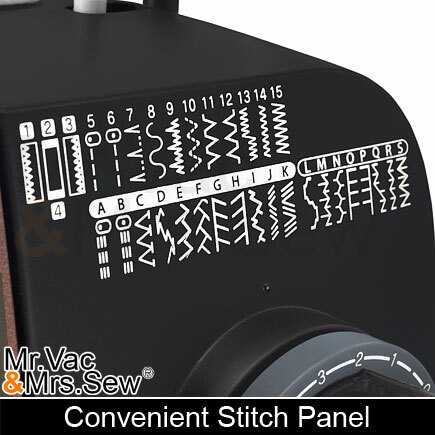 The convenient stitch panel on the front of the Toyota Super Jeans J34 shows you all the stitches at a glance with their corresponding stitch letter or number; making stitch selection that much easier! Want to sew through lighter fabric? Not a problem, the Toyota is made to sew through Fine Fabrics and Medium Fabrics as well! 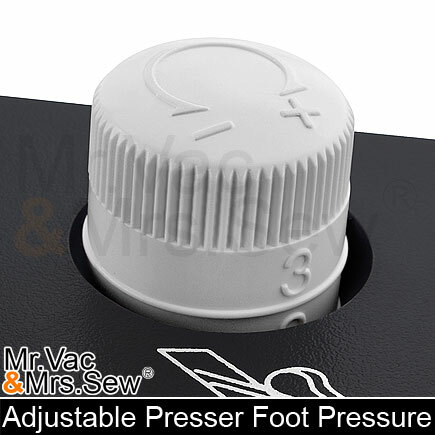 And with the adjustable presser foot pressure dial you can set your machine's foot pressure to the exact setting needed for your fabrics weight. 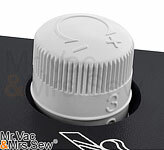 The Toyota Super Jeans J34 has an easy to use bobbin winder which allows the user to effortlessly rewind bobbins! Great projects begin with great tension! 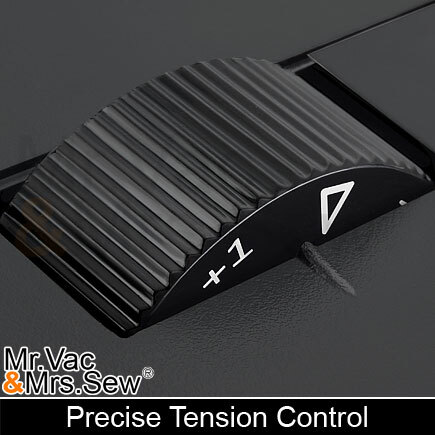 Worry free tension makes your projects look and be professional. 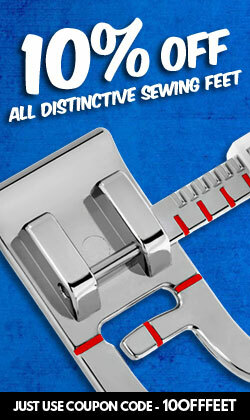 The Toyota Super Jeans J34's tension dial gives even results on most fabrics. 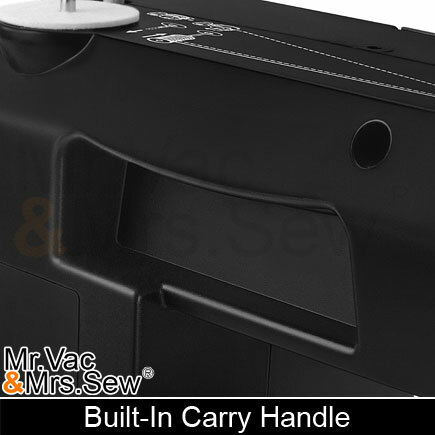 The Built-In Carrying Handle makes transporting this machine a breeze! 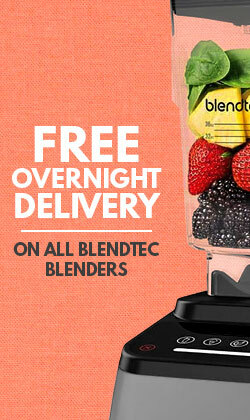 And weighting in at under 12 pounds, this machine is the best of both worlds - Lightweight AND Powerful! 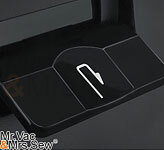 The Toyota Super Jeans J34 Sewing Machine has a large easy to use reverse lever located at the front of the machine. 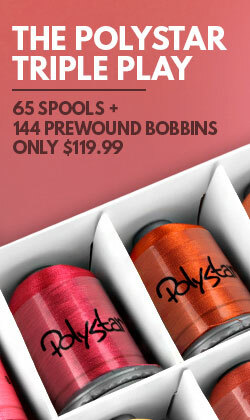 Great for reinforcing your stitches. 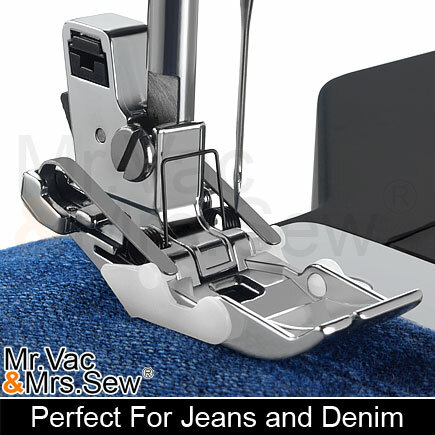 The Metal Spool Pin is retractable on the Toyota Super Jeans Machine meaning if you need your Spool Pin, simply pull it out to it's full length and start sewing! 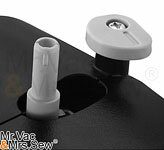 No need to detach or remove your spool pin, it's always attached to the machine and ready to be used. 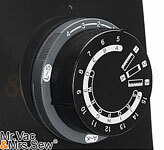 W 16" x H 11.6" x D 7.8"
I have been sewing with this machine for a week now and I love it. 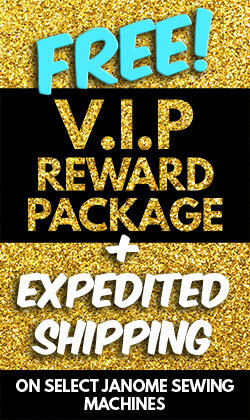 It glides easily over even the heaviest seams and stitches through leather easily. 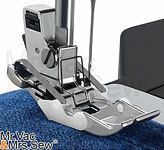 It’s compact yet sturdy, easy to thread and operate. So glad I found it. 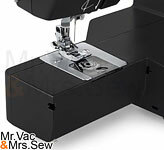 I have had the Super Jeans 34 sewing machine for a few weeks, I have been enjoying sewing with it. The stitches are nice and even and it is very easy to use. 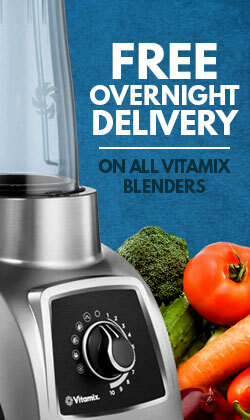 This machine is surprising light weight. I have already sewn some vinyl boat upholstery with the Super Jeans 34 machine and it turned out really well. I would recommend the extension table because it makes such a nice work surface for larger projects.. I can't wait to reupholster some furniture next. I am considering getting a walking foot for this machine in the future. 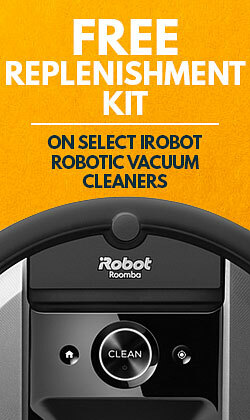 Thank You Mr. Vac and Mrs Sew for recommending this user friendly machine.